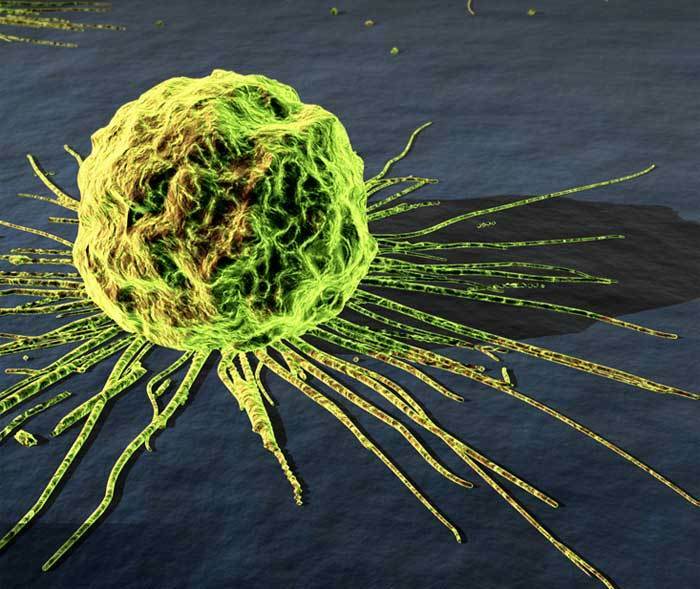 Cancer claims more than half a million lives every year. The cost of “treating” cancer patients in the United States alone is over 100 billion dollars a year. In the past 100 years, cancer research has not made much progress in treating cancer successfully. Many factors have been associated with cancer. Tobacco, alcohol, pollution, an unhealthy work environment, food additives, pesticides, drugs, dietary habits and emotional stress have been cited as the most common factors causing cancer. Based on my more than three decades of clinical experience, I have found that yeast and parasitic infections have been closely associated with cancer. Yeast and parasitic infections can be labeled as the root of all evils so far as physical health is concerned, with psychological factors being at the core of these roots. My treatment strategy is to deal with the physical and psychological issues simultaneously. Some clients chose not to have any invasive treatment methods, while others chose to have surgery and/or chemotherapy, and/or radiotherapy. I have worked with clients at different stages of cancer with or without Western treatment modalities. From a physical perspective, ALL cancer clients experience yeast fermentation in the body. When the body cells are fermented, they turn into cancer cells. This has been documented by Dr. Otto Warburg, a Nobel Prize winner in 1931 and Dr. Gaston Naessens, a Canadian biologist. Since yeasts and parasites are like Siamese Twins, they go hand in hand. So, both yeast and parasitic infections are present in the cancer condition. Therefore, I give my clients our Herbal Detox formulas: Yeast-Para Control and Cleansing-Balance Tea. Yeast-Para Control is designed to remove excess yeasts, parasites, and toxins. Cleansing-Balance Tea is designed to flush the “debris” and cleanse the liver and kidneys. Female Vitality or Male Vitality is very helpful when cancer clients are going through chemotherapy or radiotherapy and experience fatigue. Herbal Cocktail is great for nourishment or combating nausea due to the side effects of chemo or radiotherapy. Many Chinese or Western herbal ingredients can be helpful in building the immune system. However, single ingredients are too weak to restore a cancer client’s health. I usually have more than 20 ingredients in each of my formulas. They work to enhance each other’s main positive effects and eliminate the possible side effects. Our “Seven Herbal Wonders” have been available to my clients for 15 years (and still counting), and have helped countless clients build up their immune system. In addition to the Herbal Detox program, I also guide my clients (especially cancer clients) to stay on the yeast-free nutritional program containing no sugar, no dairy, no wheat, no yeasts, no caffeine, no alcohol, no nicotine, nor chemicals (Dr. J’s Eight Commandments). The Herbal Detox program works to cleanse existing toxins, while the yeast-free nutritional program works to prevent the creation of new toxins in the body. My yeast-free cookbook, Healthy and Tasty: Dr. J’s Anti-Yeast Cooking helps my clients learn more about what to eat and what to avoid. From a psychological perspective, different types of cancer have different symbolic meanings. For example, breasts symbolize love and nurturing. People with breast cancer usually perceive that they don’t get the love and approval they desire. Therefore, my approach is to guide my clients to release negative emotions such as anger, resentment, fear, guilt and regret, and to learn to love themselves. I offer my clients many tools to accomplish this. They include spiritual psychological counseling, the Emotional Releasing Technique, self-hypnosis, meditation, prayers, affirmations, guided imagery, etc. You can find more details in my book, Breaking the Yeast Curse: Food and Unconditional Love for Magic Healing. After more than 30 years of clinical experience dealing with all kinds of illnesses, including cancer, I have learned that as a helping professional, I am not here to save everybody’s life. I am just here to help my clients live or die more comfortably. Each person has his or her life journey to travel. My role is to offer a helping hand in making my client’s life journey easier. For consultation on yeast-free nutrition, herbal detox, hormonal imbalance, weight management, drug-free holistic treatment for cancer, please call us at (800) 715-3053, or send an e-mail to drj@drjsbest.com. Consultation sessions over Skype or the telephone are also available. For more information, visit our website: www.drjsbest.com.